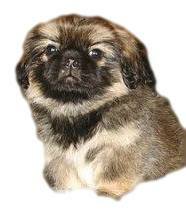 Just a quick peek at the Pekingese and you will see why the ancients thought of them as royalty almost sacred. They are independent, dignified and stubborn and they know it. Being a bit standoffish or aloof when encountering strangers, these dogs are fiercely loyal, friendly and good nature around their favorite people. With a broad head, wrinkled muzzle, and a mane of hair around their neck, they resemble a lion in appearance. They are a small dog, short and low to the ground, but stockier than you might think. Their eyes are round, large, and dark and their drop ears are actually heart shaped. Their size, coupled with their minimal exercise requirements makes them an ideal apartment dog. Fearless and smart, they make a great companion, but they are known to be difficult to train. They are also known to be barkers and picky eaters if not trained early. 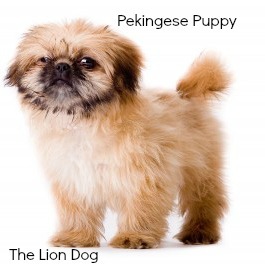 The Pekingese which is also known as the Lion Dog, The Foo Dog, FuFu Dog and Sleeve Dog is an ancient breed from China dating back nearly 2000 years. Legend has it that the breed was created from the combination of a lion and a marmoset. As the story goes, a lion fell in love with a marmoset and wanted to wed his tiny love. The lion begged the Buddha to make him small, but allow him to keep his lion character. Buddha agreed and from their union, the dogs of Fu Lin, the lion dogs of China arose. Probably not exactly historically accurate, you have to admit it does make a great story. Named after the Capitol of China, Peking, known now as Beijing, it was originally bred by Buddhist monks. These dogs remained the companions of royalty and lived only in the Imperial Palace. The early admirers of the breed were so enamored with their lion dogs that they raise their status to royalty and gave the dogs their own personal servants. Commoners were required to bow down to these little dogs and their whereabouts were highly guarded. The west knew nothing of their existence until the time of the Opium War in 1860 when British forces raided the Forbidden City. British forces found and took 5 dogs belonging to the Emperor’s Aunt and presented them to nobility in England. Queen Victoria, the Duchess of Wellington and the Duke and Duchess of Richmond and Gordon received these prizes of war. 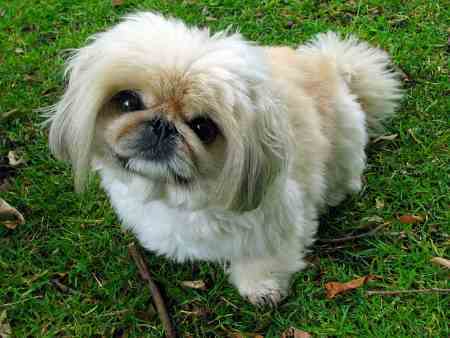 The breed remained rare, but by the 1890s, more Pekingese dogs were being smuggled out of China. The first dog to be exhibited in a British Dog Show was Pekin Peter in 1894. It was not long before they became popular in the United States. In the early part of the 20th century, Empress Dowager Cixi presented a small black Pekingese named ‘Manchu’ to President Theodore Roosevelt’s daughter Alice. 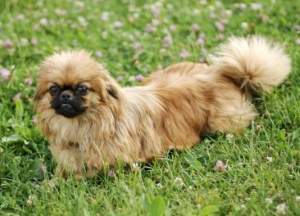 The first Pekingese to be registered with the AKC occurred in 1906 and then the Pekingese Club of America was formed in 1909. In 2014, the breed ranks number 80 among the breeds listed by the AKC, a rather sharp drop from the ranking of 33rd in 2002. Even modern day Pekingese seem to know that they have been bred for and by royalty because they exude an aura self-importance that goes deeper than their imperial appearance. They are likely to take charge of any situation and can be defensive if they feel threatened. They are a very intelligent breed but together with an independent streak and a stubborn attitude make them difficult to train. They respond well to positive gentle training methods and any type of harsh discipline will likely be counterproductive. Use of food as rewards works well with this breed, but you will need to persuade them that what they are doing is somehow their own idea and not yours. Early socialization is a must for these dogs and ensures that they will grow up to be a well-rounded, balanced dog. The more you can expose him to different people, sights, sounds, and smells, the more likely you will not encounter some of the behavioral problems that have stereotyped the breed. Those closest to the breed will describe them as very loving, affectionate, and sweet. They have a big heart in a small body and will treat you with respect as long as you are willing to do likewise. As a one-person dog, they will chose one human in the family as their favorite and bestow more love and affection and protection on that one special person. This affectionate nature does not extended to anyone outside the family and they are likely to look at anyone unfamiliar to them with a certain amount of disdain. They like to bark and will bark when strangers are nearby making them a good watch dog. Some members of the breed do not know when to stop barking and an early training program is necessary to teach them how to do this. Pekes are better suited to live with older children because they are not patient when it comes to being poked, grabbed or handled roughly. They usually get along fine with other Pekingese, but do not take kindly to other household pets. 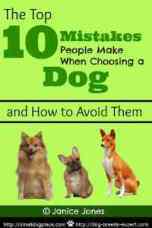 If raised with other dogs or cats, they will accept them and learn to get along fine. The Pekingese’s thick coat requires grooming on a regular basis. Some who love the breed, but hate to groom will opt for keeping the coat clipped down. If you love the appearance, be prepared to brush. The coat should be brushed at least twice a week with a bristle brush and combed as needed. They do shed, seasonally, usually twice a year, so extra brushing is necessary during this time. To keep shedding to a minimum, brush from the skin outwards to remove any dead hairs. Brushing only the top layer will not help with mats and tangles. The coat should be sprayed with water or a conditioning spray prior to brushing to keep hair from breaking. 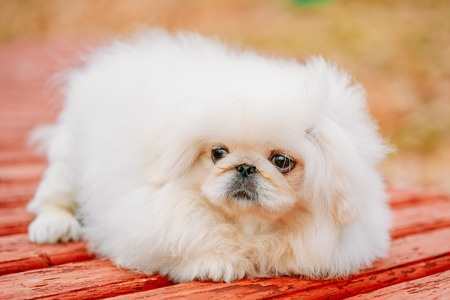 Pekes can be bathed at least monthly or more frequently as needed. 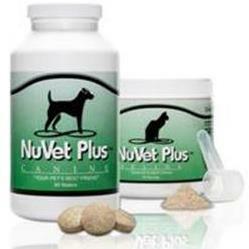 Their nails will need to be trimmed about every 3 weeks and their teeth should be brushed ideally once per day. One very important task of grooming the Pekingese is to keep the skin folds on the face clean and dry. Wash the face daily with warm water and dry completely. A mild dilution of baby shampoo can be used if necessary and will not cause problems for the eyes. Dry the folds out with a cotton ball. Other areas to address include the foot pads and the sanitary areas. Clip the excessive hairs from the foot pads and do a sanitary clip to keep your Peke fresh and clean. Being a brachycephalic dog, they are sensitive to anesthesisa and heat, lower tolerance for exercise, and snorting/snoring, breathing problems that often accompanies dogs with short noses. Their prominent eyes make them susceptible to ulceration and other trauma. They are a relatively healthy breed, but like any other breed, certain genetic problems have been identified. It is unlikely that you would encounter them but it is important to be aware of them if you are considering the breed. Purchasing from a professional breeder who takes the time to do health screenings on the parents will help assure that you will be getting a healthy puppy. Patellar Luxation: A very common problem in small dogs, this condition occurs when the knee is not properly lined up and causes lameness and eventually arthritis. Cataracts: A cataract occurs when the lens of the eye becomes opaque eventually leading to loss of sight. Cleft Palate: Present at birth, there is a separation in the roof of the mouth making nursing impossible. Most puppies do not survive and are euthanized. Distichiasis: This condition occurs when an additional row of eyelashes grow on the oil gland in the dog's eye and irritates the eye. Entropion: This defect causes the eyelid, usually the lower one to roll inward, irritating or injuring the eyeball. Fold Dermatitis/Pyoderma: A skin infection that occurs within the folds or wrinkles of the skin where moisture accumulates and rubbing occurs. Hydrocephalus: Occurs when the cerebrospinal fluid (CSF) in the brain accumulates abnormally in the ventricles of the brain. Keratoconjunctivitis Sicca: Also called dry eye, this is caused when the eyes do not produce enough tears. Mitral Valve Dysplasia: This defect occurs when the valve of the heart does not seal completely and blood backs up causing the heart to work harder. Progressive Retinal Atrophy (PRA): This is a degenerative eye disorder that eventually causes blindness from the loss of retinal cells. Can be stubborn, "what's in it for me"